On Sunday October 1, a group of Principia students, faculty and community members travelled to Eden Theological Seminary in St. Louis for a walk and Psalms Festival dedicated to raising money to help mitigate the problem of worldwide hunger. Dr. Barry Huff, a Professor of Religion at Principia College, originally intended to take to the event students in his Bible and Environment class; however, after extending an invitation to other members of the Principia community, the group–consisting of 40 students, faculty, and other Principians–turned out to be the largest at the event where they joined over a hundred other participants from various parts of St. Louis. The chief purpose of the walk was to raise funds to help end hunger locally and globally. In addition to walking, participants also had the opportunity to donate money directly to the cause. As a collective group, the Principia community managed to raise an impressive $1,035 and had three times as many participants as any other group. Although the group was diverse, the participants were able to leave their religious beliefs and opinions behind them and unite together for a night of appreciation and love for the Psalms. The festival consisted of readings, songs and poems with a common theme of the book of Psalms and it’s many religious interpretations. The organizer of the event, Dr. Clint McCann, a renowned Psalms scholar and professor expressed his gratitude towards the Principia community participation, commending the group for being “polite, intelligent, committed and friendly.” The money raised by Principia and their participation in the event was inspiring to all those involved and was a true representation of community. For anyone wishing to be involved in the message and purpose of the Psalms festival and Crop Hunger Walk, community members can still donate by googling CROP Hunger Walk and clicking on the donate option under the website heading. 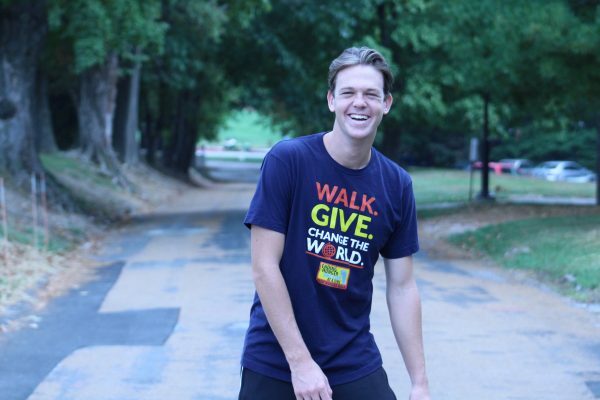 In addition to helping on campus, the CROP Hunger Walk organization would still appreciate any donations to help achieve the goal of ending nearby and worldwide hunger.